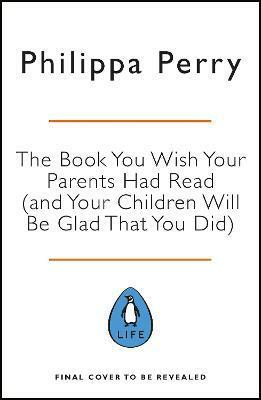 With straight-talking advice from renowned Psychotherapist Philippa Perry, How to be a Parent is the definitive guide for any parent looking to navigate their past, avoid repeating their own parents' mistakes, and ensure they don't land their own kids in therapy. Through the combination of case studies, her own experiences as a parent, and therapeutic insight gained from a career spanning over 20 years, Perry tackles the wider issues of what it actually means to be a parent, rather than getting bogged down in the little details. Alongside her practice as a Psychotherapist, Philippa Perry is a faculty member of The School of Life, writes as an agony aunt for Red Magazine, and is a contributor for The Guardian. She has also been an occasional presenter for The Culture Show on BBC Two. She has presented several documentaries and most recently, featured in highly popular dating show Celebs Go Dating for E4, where she used her expertise to give the celebrity singles some much needed relationship advice. She lives in London with her husband - acclaimed artist, campaigner and writer Grayson Perry. They have one grown-up daughter - Flo, and one cat - Kevin.